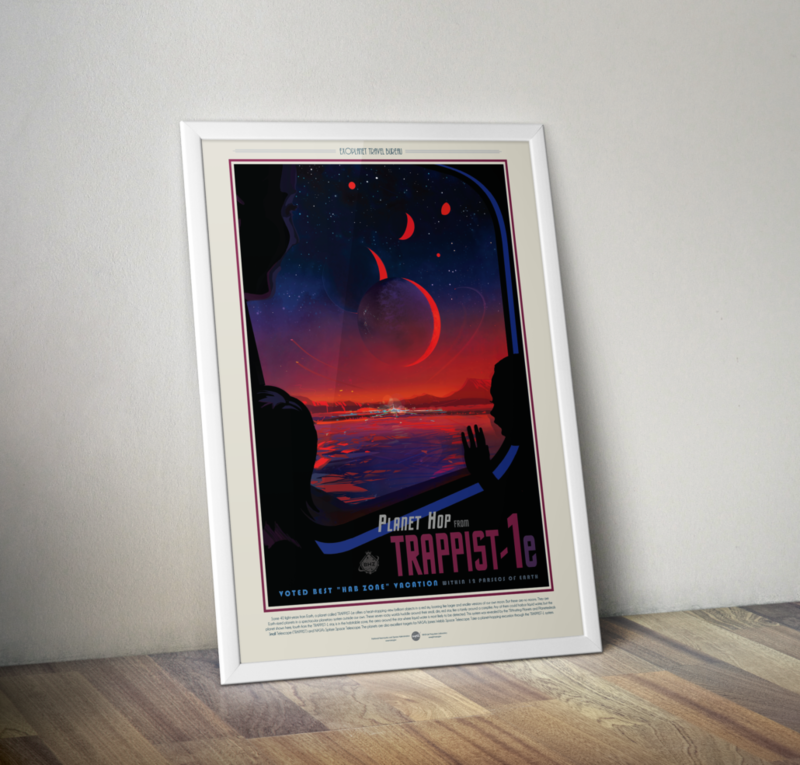 Save 10% when you order five (5) or more posters in a single order! 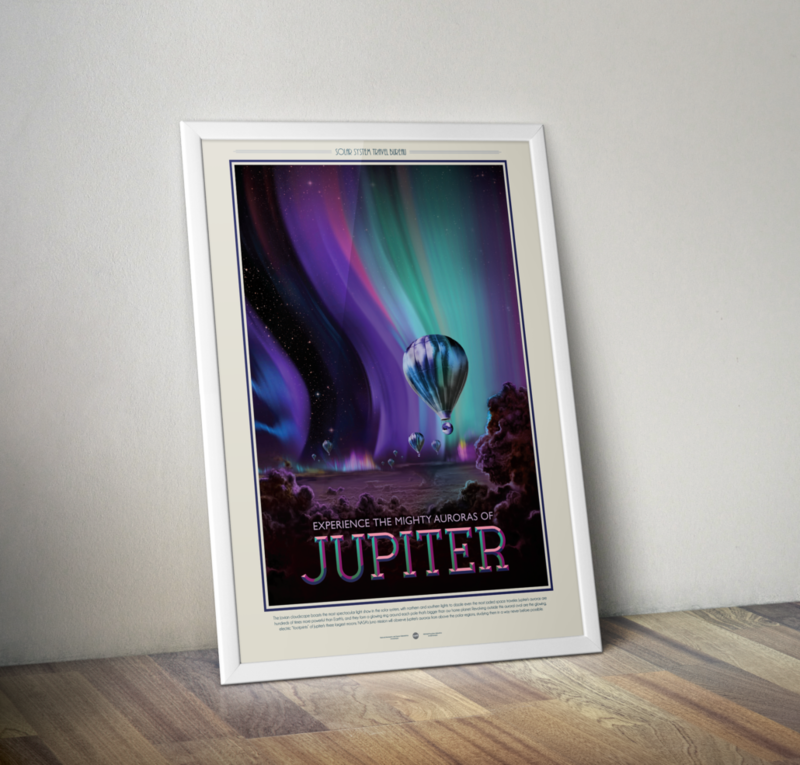 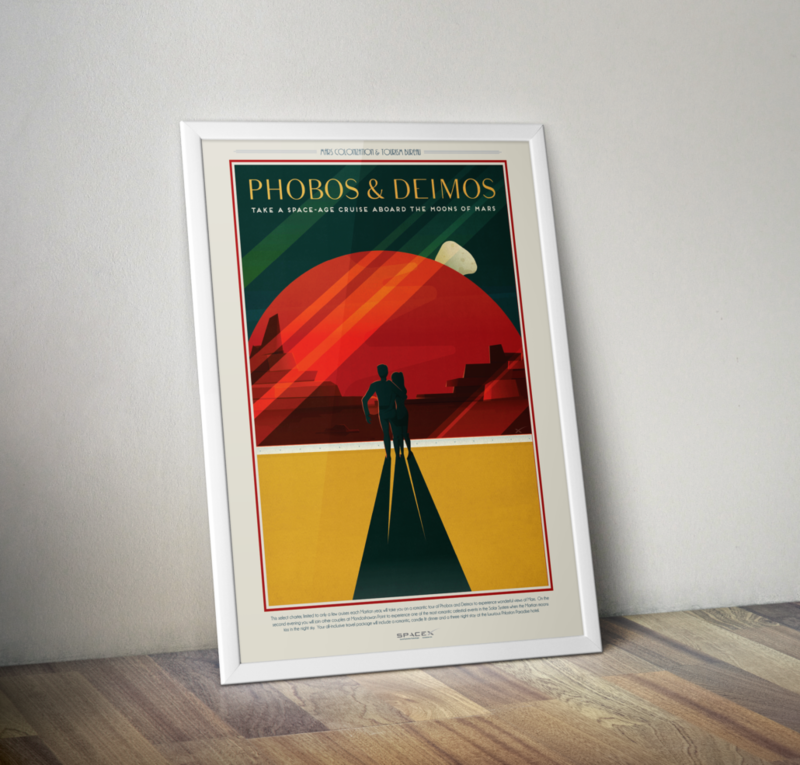 Looking to make a bulk order of a single artwork option? 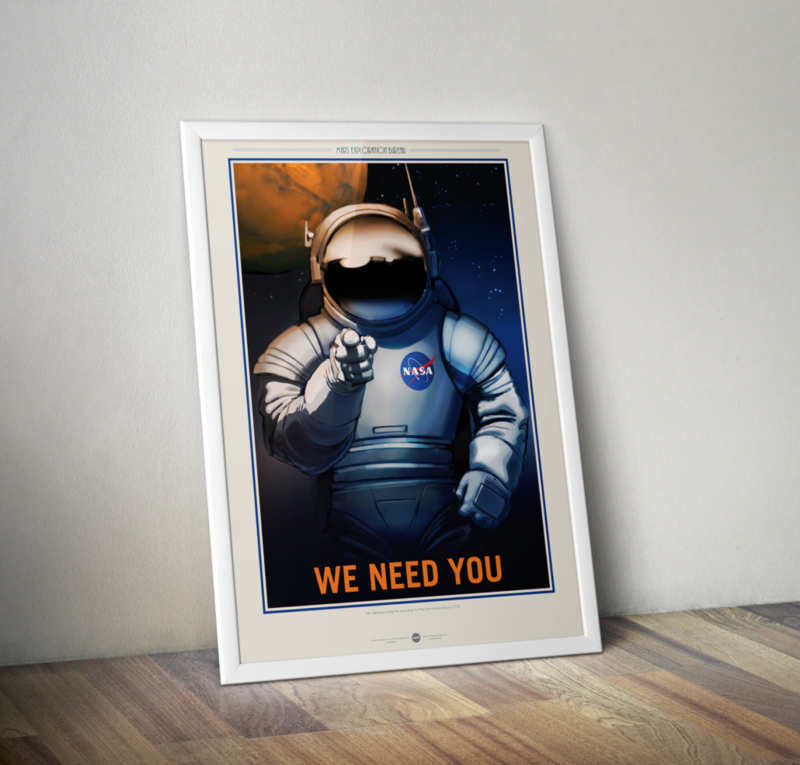 Ask us about special bulk order pricing. 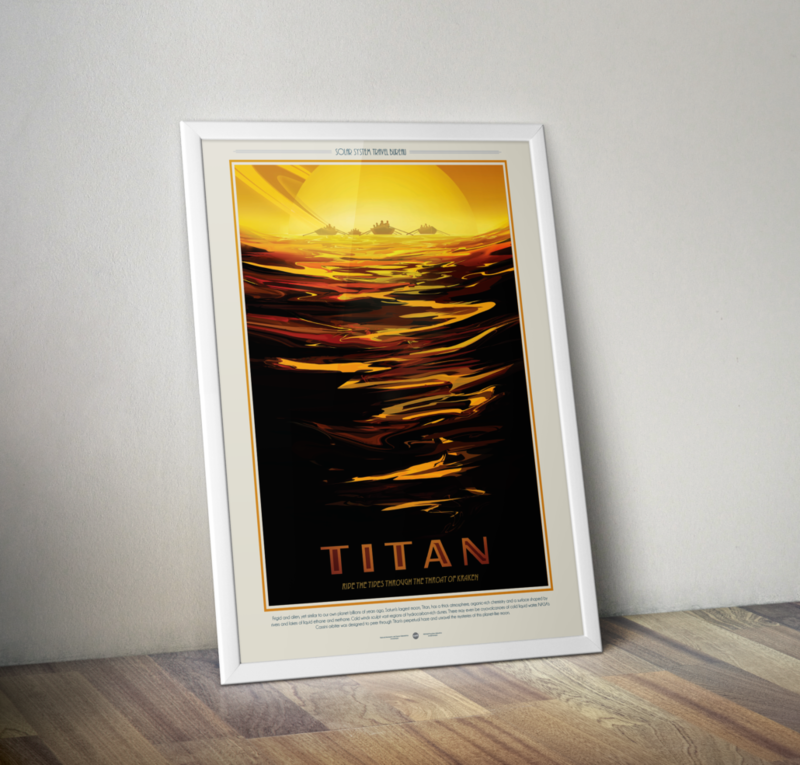 Custom Poster Sizes & More! 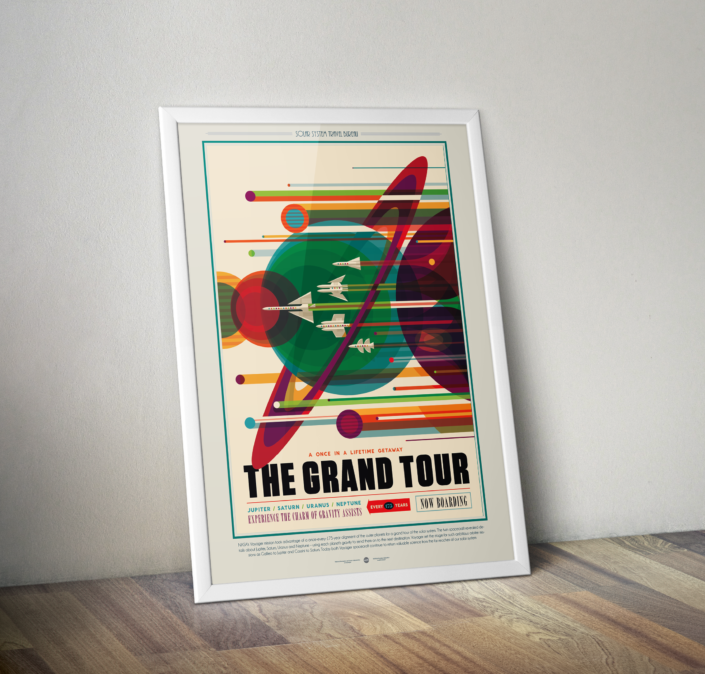 If you would like these great posters in a larger or smaller size, please request a custom quote for the dimensions requested. 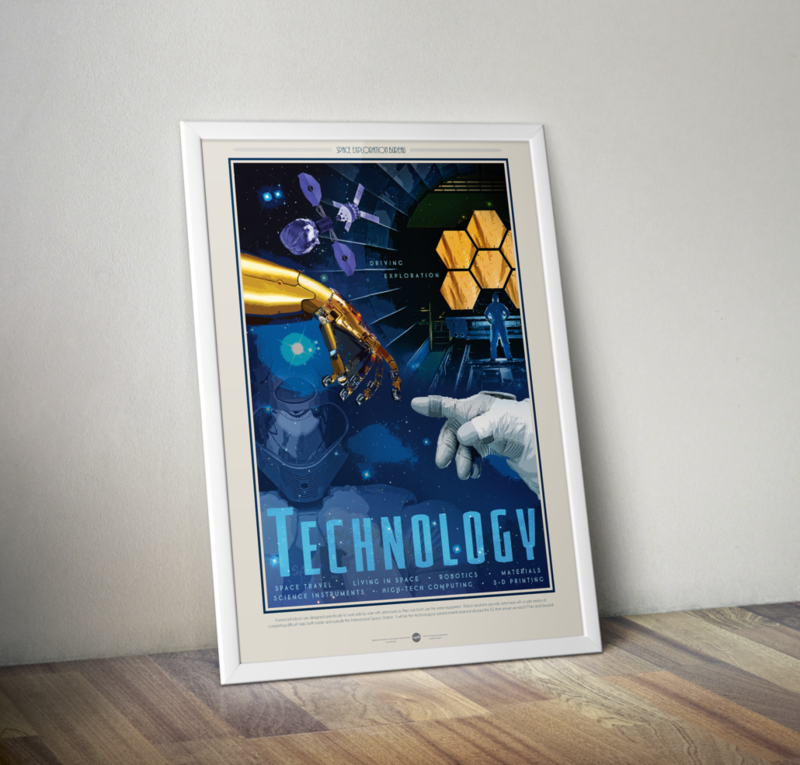 You can even ask us about getting this artwork featured on other products. Just let us know what you’re looking for and we will see what we can do. 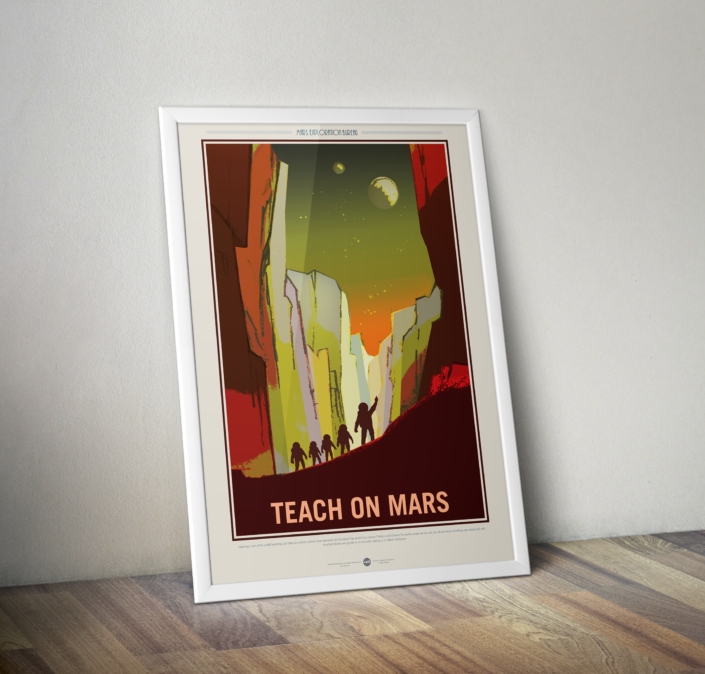 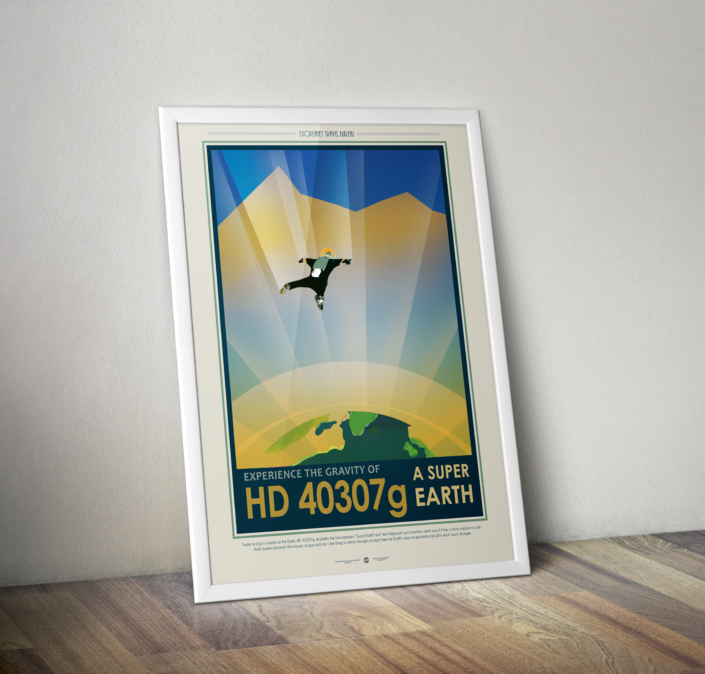 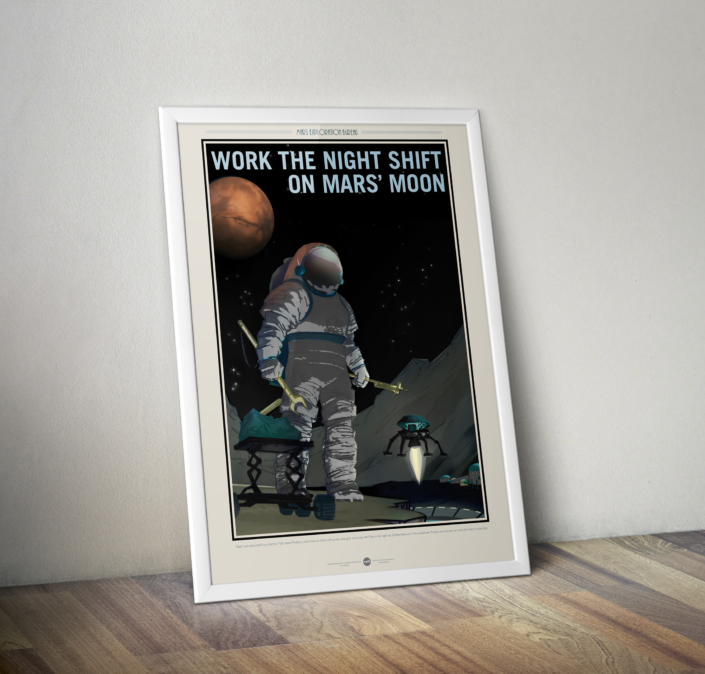 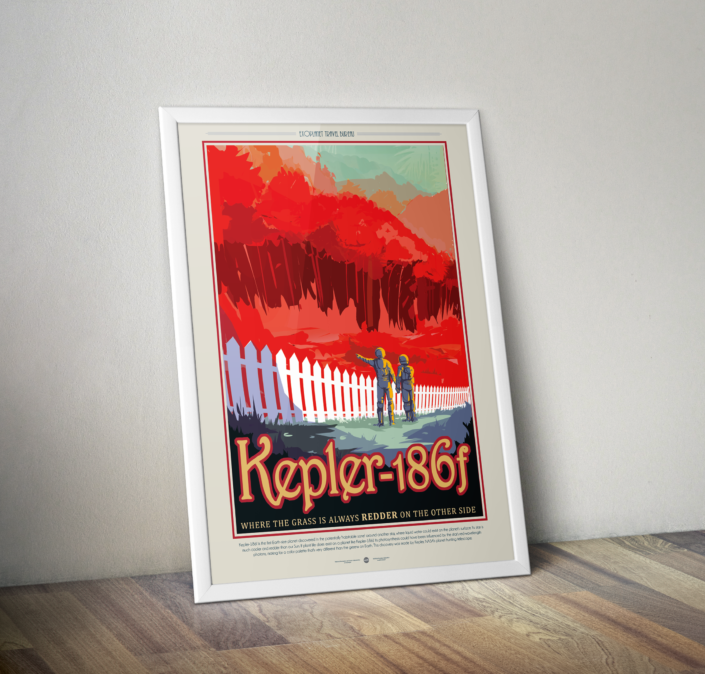 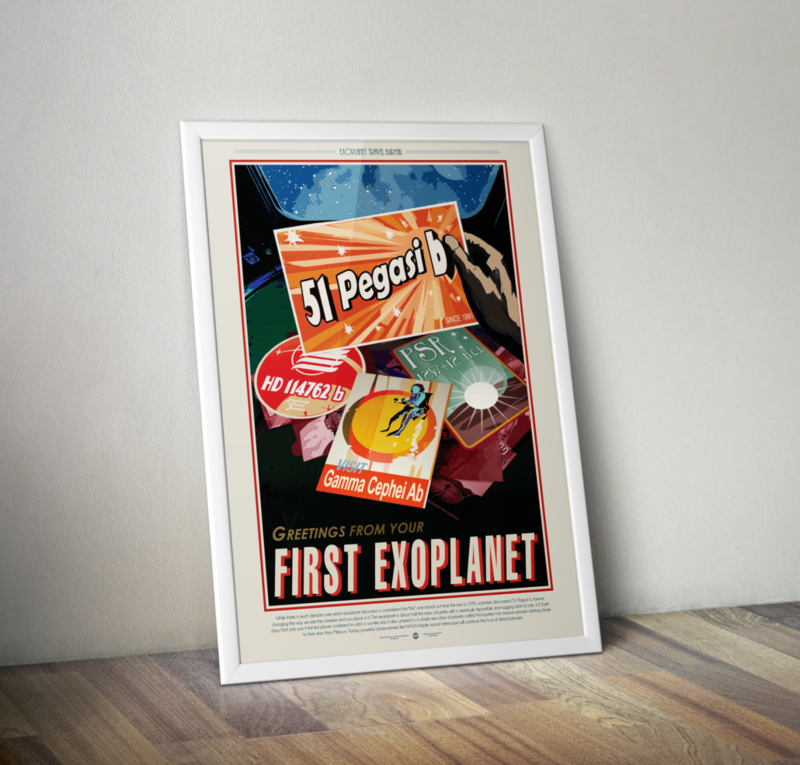 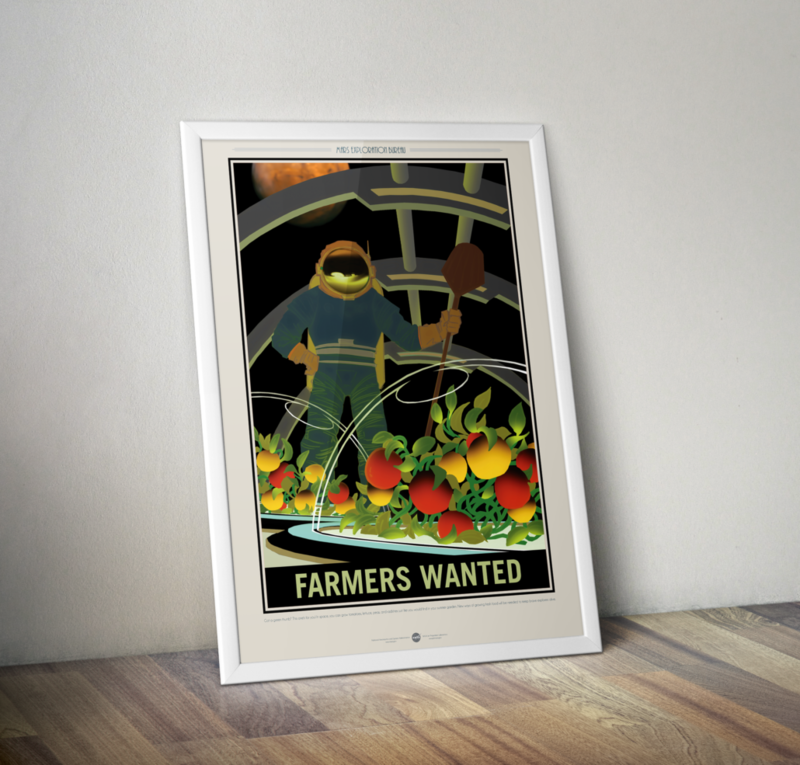 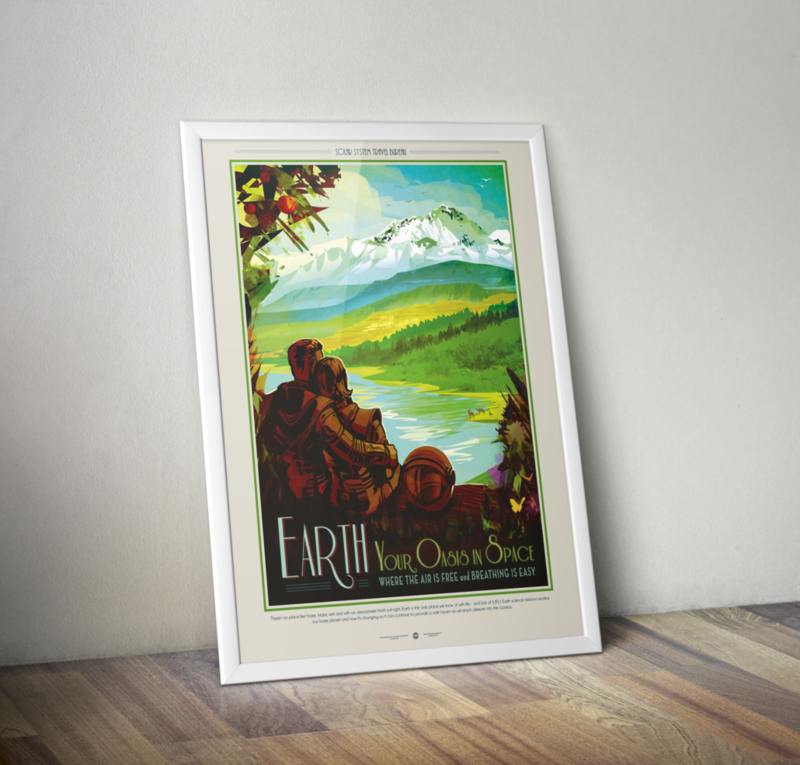 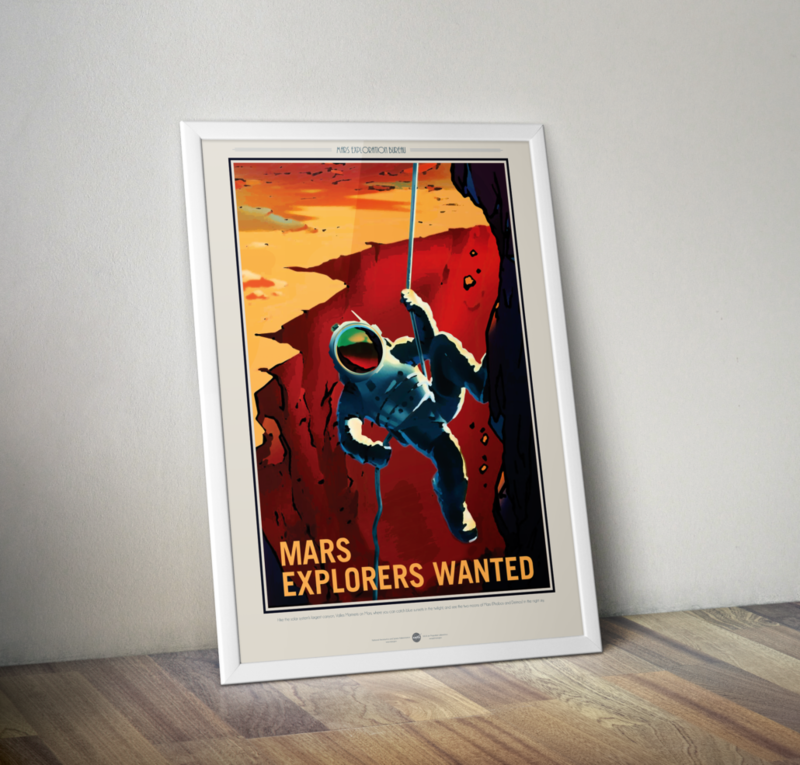 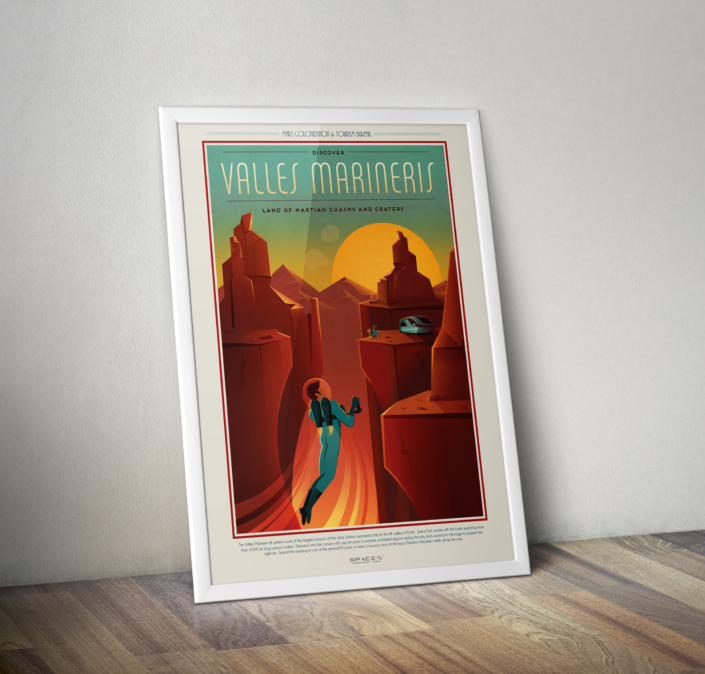 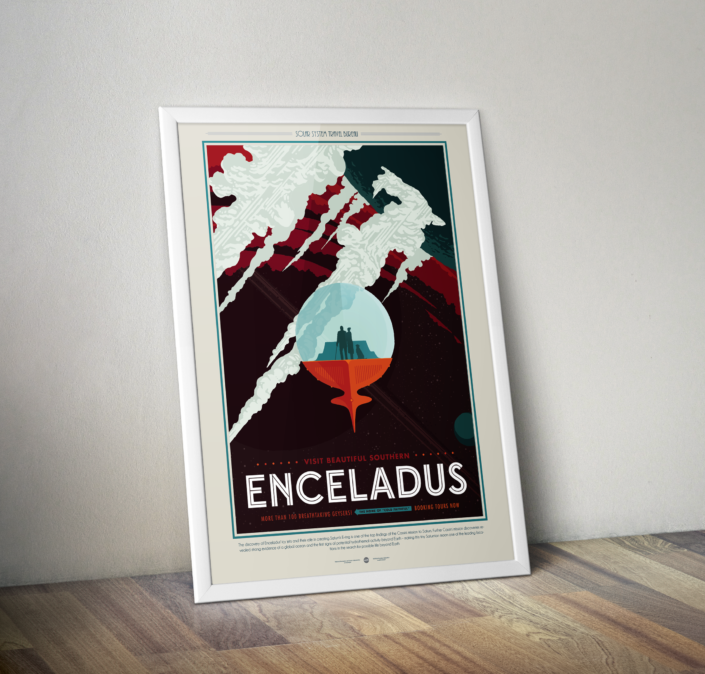 NASA and Space X have graciously shared out these wonderful, vintage, 1930’s era style travel posters featuring popular exoplanets, our solar system, and Mars. These posters are printed on premium 12CS or glossy photo poster stock in full HD at a dimension of 18″x27″. 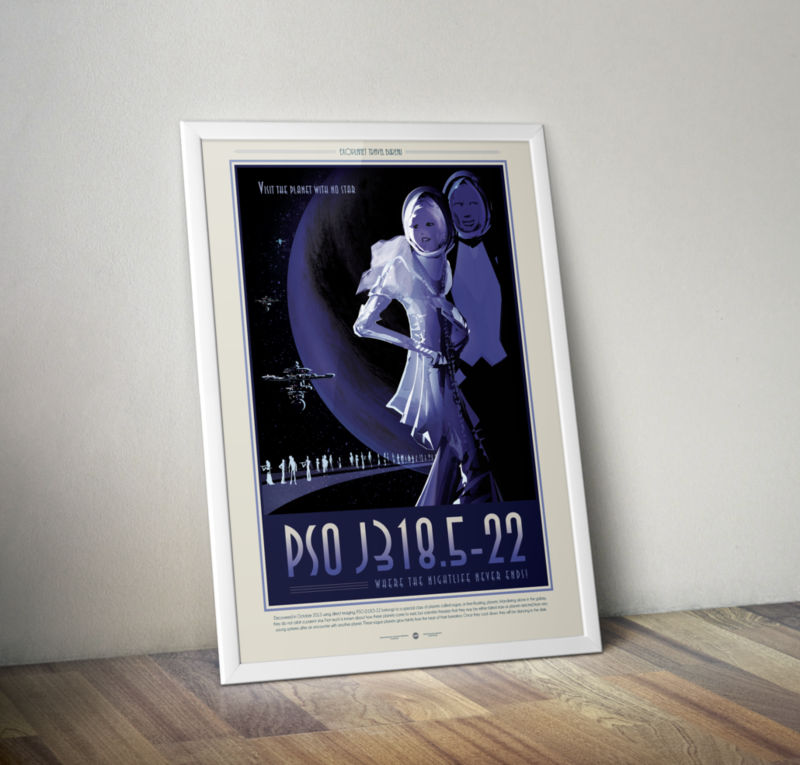 12CS stock is thicker and more durable, while glossy photo stock is thinner with a slightly better print quality. 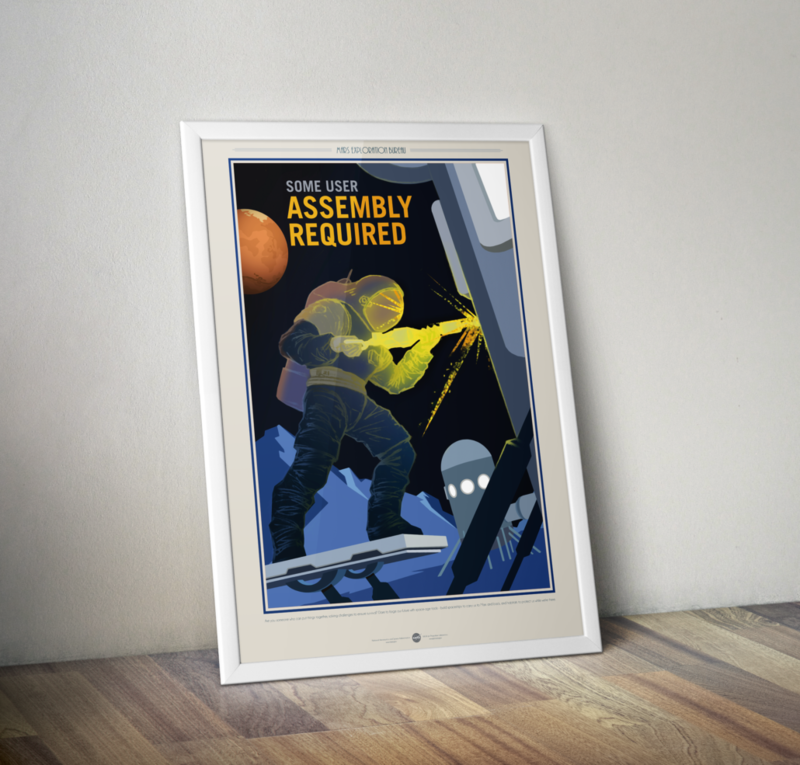 You can even upgrade to a backlit poster option! 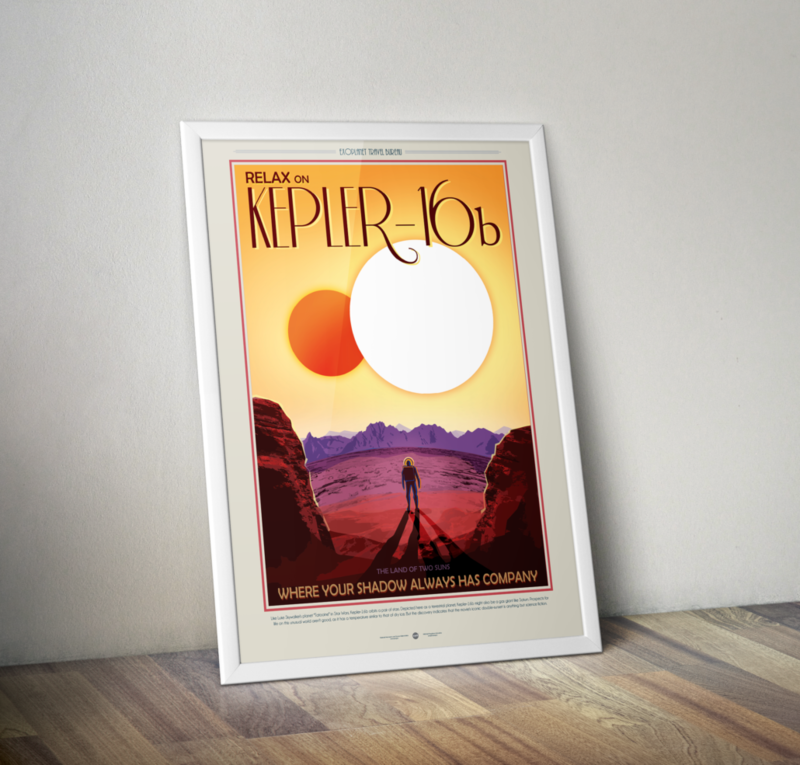 NASA Exoplanet: Planets HD 40307g, Kepler-16b, Kepler-186f, PSO J318.5-22, 51 Pegasi b, Trappist-1e. 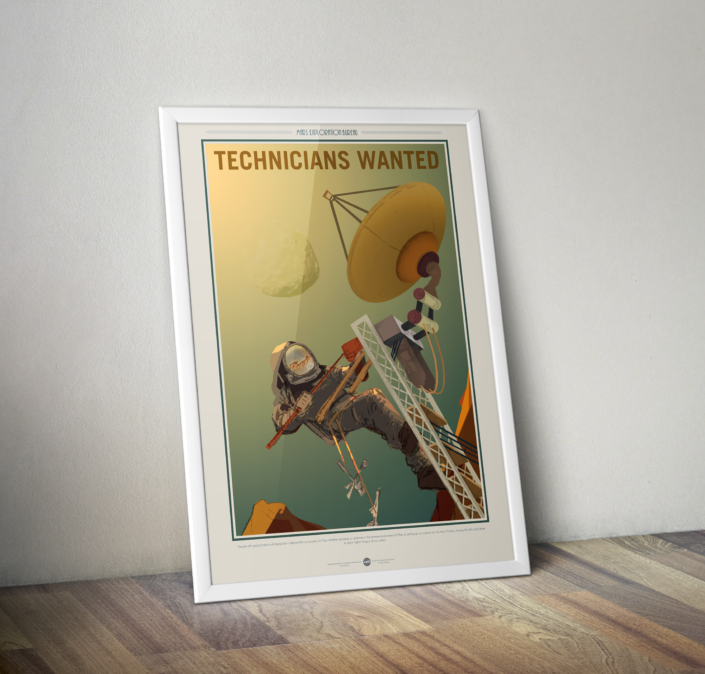 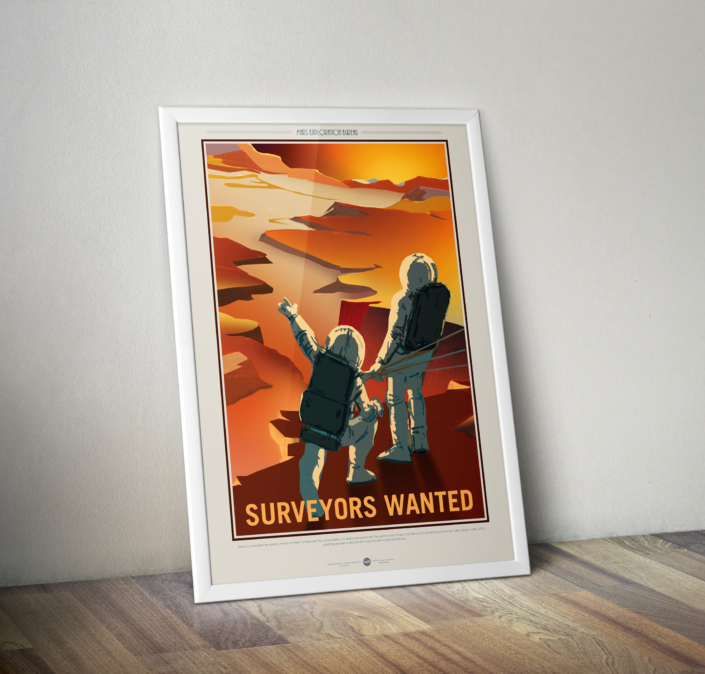 Mars Exploration: Assembly Required, Explorers Wanted, Farmers Wanted, Night Shift, Surveyors Wanted, Teach On Mars, Technicians Wanted, We Need You. 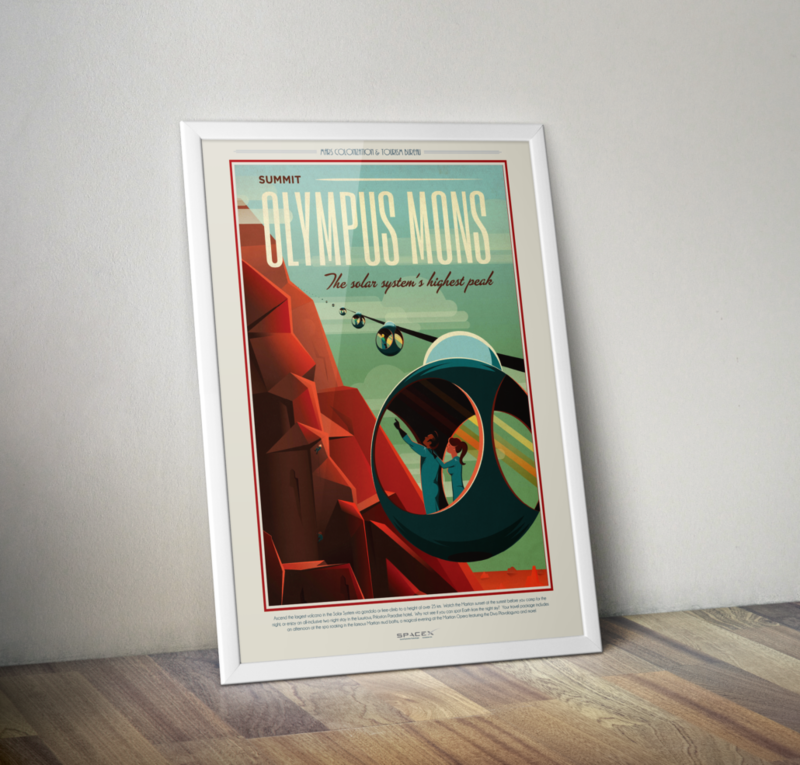 Mars Travel: Olympus Mons, Valles Marineris, Phobos & Deimos. Solar System Tour: Venus, Earth, Mars, Titan, Jupiter, Europa, Enceladus, Ceres, Grand Tour. 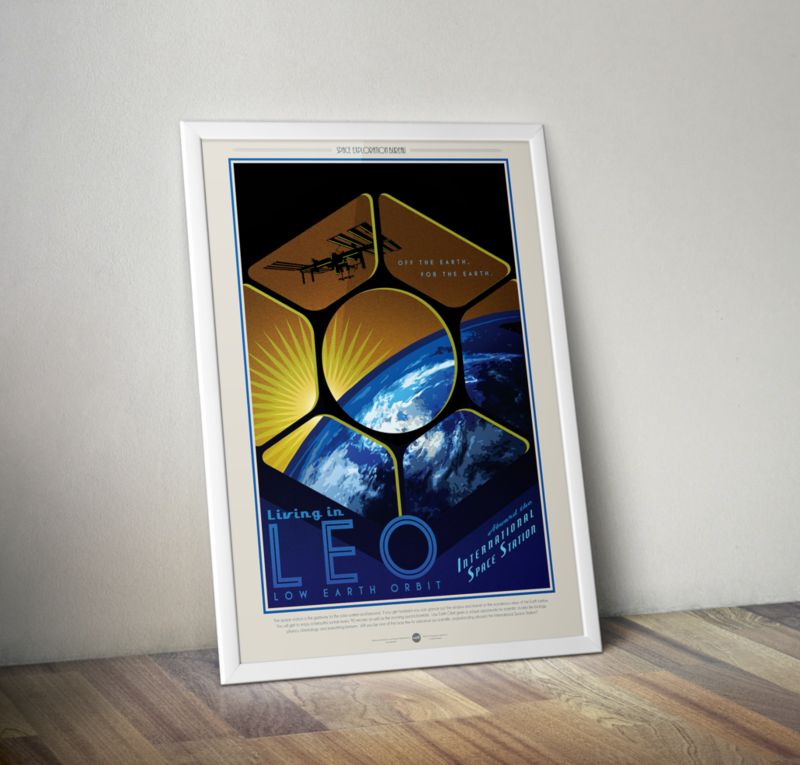 Space Exploration: LEO (Low Earth Orbit) and Technology. This option will add about one (1) inch to each side to give you extra space for your custom mounting needs. 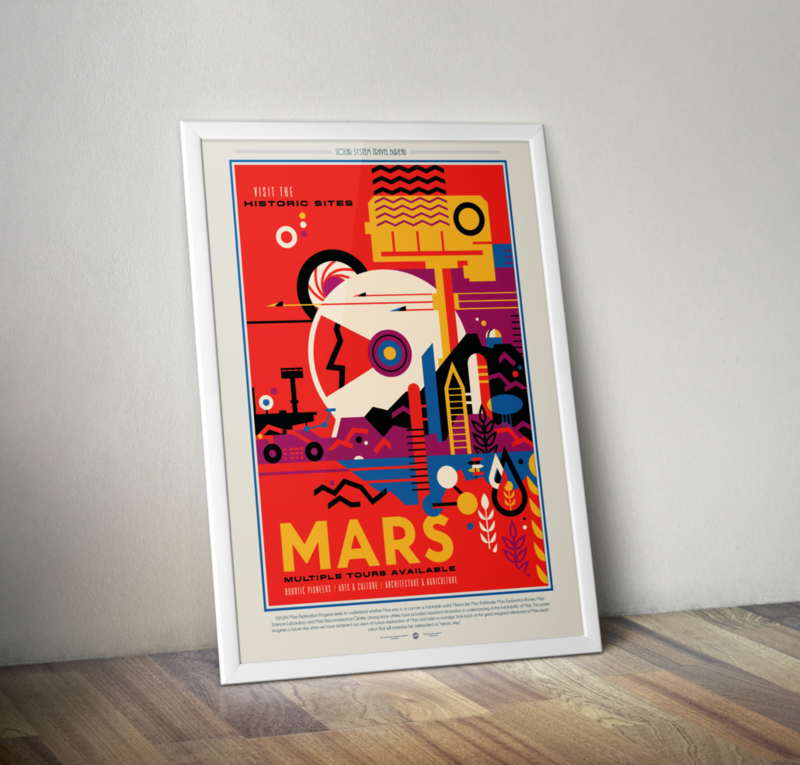 Posters do not come framed, the preview images are for example purposes only. 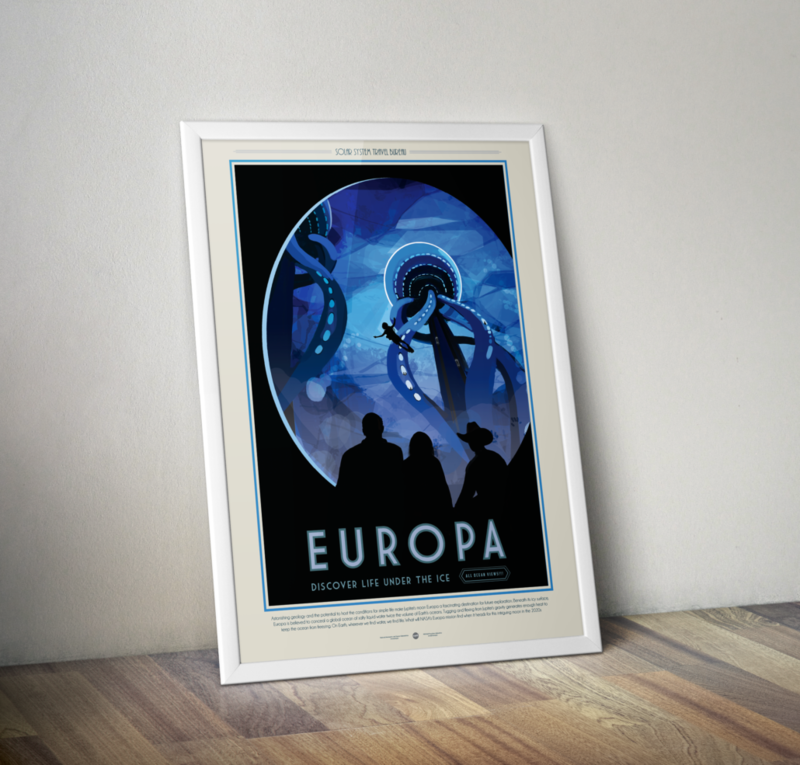 All posters will be shipped in a durable poster tube to help best protect the posters while in transit. 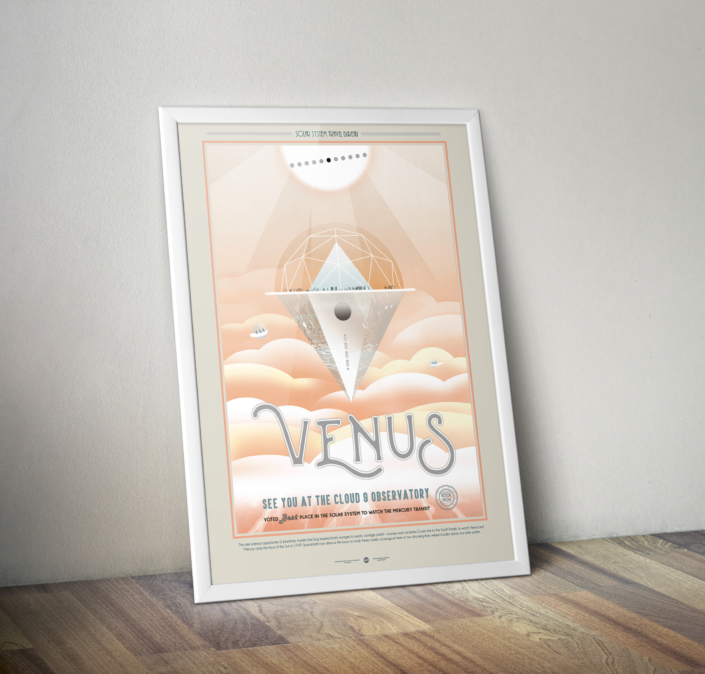 Bulk pricing is available for the same artwork only. 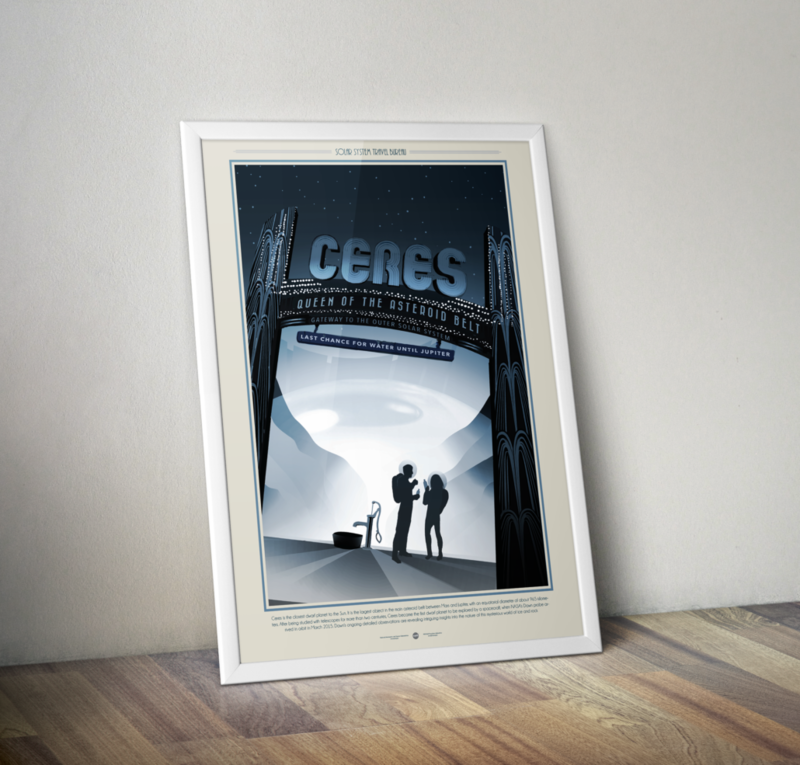 12CS stock is a thick, durable option similar to poster board.